One of my favorite treats. I have made this substituting dates and it was equally as good. A favorite in the Low Country since colonial days. Benne (the Bantu word for sesame) was brought from East Africa and planted in the south. I can not imagine a Christmas without these buttery little tastes of goodness. You will need a cookie press to make these. Easy to make chocolate chip recipe. Try different nuts for a different tastes - Chocolate Chip Almond Cookies, Chocolate Chip Pistachio Cookies, Chocolate Chip Walnut cookies. Don't like nuts? Add sunflower seeds. Chef Debbie Gold from the American Restaurant in Kansas City, Mo. offers a chocolate-lover's take on the traditional ginger snap with her Cocoa-Ginger Crisps. These crunchy little cookies deliver a delicate ginger flavor balanced by the rich chocolate dough. Delicious Cranberry Oatmeal Cookies. My friend Rita made these cookies for church social, yummy! I HAD to get the recipe. These elegant dessert bars are the perfect way to end a get-together with family and friends. Each layer requires some chilling, so give yourself plenty of time. This is Grandma White's divinity recipe. This was a huge treat growing up. This is the only sugar cookie recipe you will ever need. Makes perfect and delicious cookie cutter cookies. Treat yourself and cater to dietary needs at the same time with these thin and crispy cookies, full of the flavors of ginger, cinnamon and cloves. Super Simple Peanut Butter Oatmeal Cookie Recipe. Chocolate, cream cheese and peanut butter....what more could you ask for? I had these at a Christmas party and they were awesome, I just had to have the recipe! This easy-to-make Linzer cookie tops the traditional raspberry filling with a bright Limoncello glaze. My family's all time favorite bar cookie! 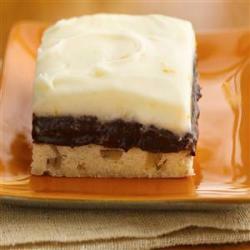 Tangy Lemon Squares - Equal®. The traditional recipe minus 36% of the calories thanks to Equal®. These bars are tangy and rich in flavor, but not in fat or calories. No need to feel guilty after eating one! These spring-inspired Macarons promise to delight any sweet tooth and will quickly become a melt-in-your-mouth favorite. The walnut crumbs add a wholesome depth to these light and flavorful treats. Recipe and photo courtesy of Nestle. 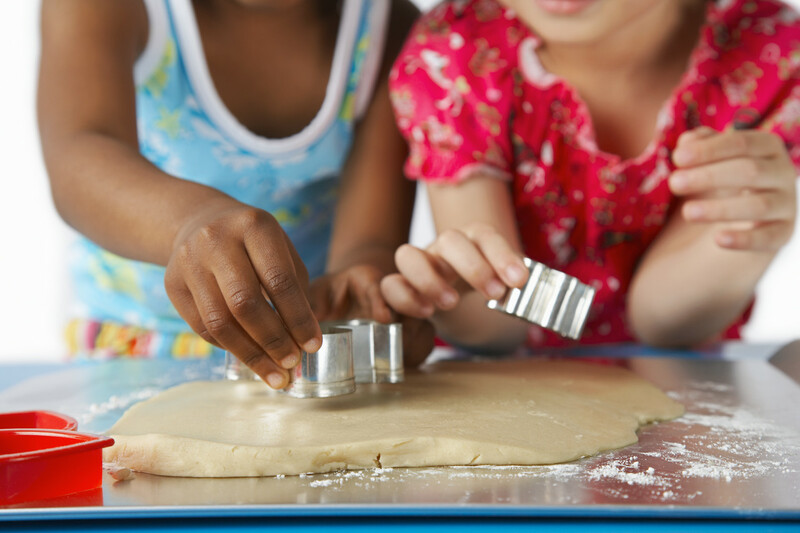 Read Bake Sale Bonanza for more great ideas.